sentranced (adj. ): the state of being captivated by a well-written sentence. Sentranced Saturday is a meme created here that encourages you to share a quote that left you entranced. It makes you think. Everyone is welcome to join in; link to this post so I can read what has left you sentranced! I wasn’t intending on doing a Sentranced Saturday post this week because I didn’t read anything entrancing and wasn’t in the mood to search for a quote to share. But I was on Canva this morning looking through the available layouts to see if there was one I wanted to use for my “I am going camping this weekend” Twitter post (!) and I stumbled upon this quote in a graphic. And I was sentranced yet again. I googled the line quote and saw that it is something Sean Patrick Flannery said and I freaking love him okay (Boondock Saints is perfection) so I was absolutely convinced that it was meant to be that I post this week. Also apparently this is my 100th post and that is lowkey perfection. I am at a crossroads of sorts right now in my life, wanting to make some changes to take control back but the breadth of change needed to get out of the horrible, unhealthy, misery-inducing rut that I have become accustomed to literally cripples me. So for at least a month I have been telling myself I want X, Y, Z yet doing the exact opposite, which feeds into negative feelings and continues the cycle. Everyone says that change begins with one step. I know that my all-or-nothing mentality does me no favors here, but 34 years of behavior is hard to break. “Do something today that your future self will thank you for” speaks to me on a visceral level. One small decision will snowball into more (just like that one bad decision snowballs into more bad choices). And the fact that I saw this quote today is kind of poetic because I am going camping and decided to go back on Whole30 while I am out enjoying nature! Went grocery shopping yesterday and prepped tons of veggies and delicious complaint treats and I am so excited to use this outdoor adventure in Tahoe to get back on track with not eating absolute garbage. I encourage each of you do do one thing today that your future self will be thankful for. It can be anything – writing a positive message and taping it to your bathroom mirror, going for a walk, staying in and reading instead of feeling obligated to be social… what one thing will you do today for yourself? Share in the comments below! What do you think about this quote, and what quote do you want to share this week? I’ve decided that I may not continue posting a Sentranced Saturday quote every week. Sometimes I don’t have anything to say and the pressure of digging up something on occasion isn’t fun or meaningful to me. I created a meme homepage here that can be linked to for those that participate, and I will continue to join in when I have inspiration! For now my International Reader Interviews will be posted on Saturdays. Hi! I’m Kaleena: book lover, runner, wanderer, and philanthropist. Life is an adventurous gift: through the outdoors and books. I run Reader Voracious Blog, where I post spoiler-free book reviews of science fiction, fantasy, speculative fiction, and mystery & thriller. I will continually workout and do yoga so that every day, I will live more mindful with the promise of a healthy future. 💪🏼💪🏼 That and drink lots of water and eat decently so that my body is strong into my 90s. These are all great things, I need to be better about ALL OF THESE! I love this quote and actually have it on my bathroom mirror! It inspires me most every day! I will keep your meme in mind for the next time I read a powerful quote I want to share. I love the idea! Ahhh I added it to my bathroom mirror when I got home from camping last night! I literally kept thinking about it when I was laying around in the hammock reading, so powerful. And YES please do, I love seeing powerful quotes they make me happy! I love that! Sometimes I think if I could absorb a simple quote like that, it would be a guiding principle for my life, and this one definitely fits! What a positive post 🙂 thank you for that. Yeah, I’m always feeling like I’d like to take life at a comfortable pace, but never seem to be able to. Just one of those things I’d also like to do differently. Thank you so much, Evelina, and I am glad you liked this post! one step at a time… it is actually easier to implement when I actually do it. Hi & welcome! I’m Kaleena: book lover, runner, wanderer, and philanthropist. Life is an adventurous gift: through the outdoors and books. Spoiler-free book reviews of science fiction, fantasy, speculative fiction, horror, and mystery & thriller. 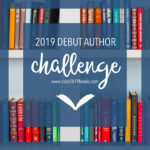 Interview with Novel19 Debut Author Claire Eliza Bartlett of We Rule the Night, available now!